Istel, F., Schwarzmüller, T., Tscherner, M. and Kuchler, K. (2015). Genetic Transformation of Candida glabrata by Heat Shock. Bio-protocol 5(14): e1529. DOI: 10.21769/BioProtoc.1529. Here, we report a method for the transformation of Candida glabrata using a heat shock method. The protocol can be used for transformations in single well or in 96-well scale. It has been employed as an alternative method to the electroporation protocol to construct a genome-scale gene deletion collection in the human fungal pathogen Candida glabrata ATCC2001 and related strains. Furthermore, the protocol can be used to generate gene deletions in clinical isolates of Candida glabrata (C. glabrata). Grow background strains overnight in YPD media at 30 °C with shaking in flasks at 160 rpm. Dilute the culture into fresh YPD medium to an OD600 of about 0.3, and regrow until an OD600 of 1.5 is reached (for 96-well heat shock transformations, 600 ml of culture are required). Harvest cultures in 50 ml Falcon tubes by centrifugation at 1,000 x g for 5 min. Wash cell pellets twice with 25 ml of sterile water, centrifuge and discard supernatants. Resuspend cell pellets gently in 1 ml of 100 mM LiAc. Combine all cell suspensions from one strain in two 50 ml tubes. Gently resuspend cells by aspirating with a pipette. Prior to preparing competent cells, place 50 µl of transformation DNA constructs at the bottom of wells of a deep well plate. Add 326 µl of cell suspension to each well and mix gently by aspiration with a multi-channel or single-channel pipette. Seal the plate using a breathable adhesive foil. Incubate plates for 30 min at 30 °C in an incubator without shaking. Add 45 µl of DMSO and mix immediately by aspirating with a pipette. Incubate plates at 42 °C in an incubator without shaking for exactly 15 min. Centrifuge plates at 1,000 x g for 5 min and remove supernatants. Add 950 µl of YPD media and gently resuspend fungal cells by aspirating with a pipette. Add 326 µl of the cell suspension to a 1.5 ml tube containing 50 µl transformation DNA constructs and gently mix by aspirating. Incubate tubes at 30 °C for 30 min. Add 45 µl of DMSO and mix immediately. Incubate tubes at 42 °C for exactly 15 min without agitation. Sediment cells by centrifugation at 1,000 x g for 5 min and remove supernatants by aspiration. Add 950 µl of YPD medium and gently resuspend cells. Incubate microtiter plates or tubes at 30 °C for 1 to 4 h at 30 °C without shaking. Afterwards, centrifuge tubes or plates at 1,000 x g for 5 min. Discard supernatants and resuspend cell pellets in 100 µl of sterile water. Plate cell suspensions on selective medium and incubate the plates at 30 °C for a few days until colonies become visible. This transformation protocol was optimized for C. glabrata ATCC2001 and all derived strains, as well as for clinical isolates of C. glabrata. The speed of rotary shaker depends on the type of culture flasks used. Flasks without baffles require higher shaking speeds around about 220 rpm for good oxygenation. Handle cells VERY gently after adding LiAc (no vortex-mixing!) and keep them on ice. Add the LiAc after adding sterile water and TE buffer (this automatically dilutes the LiAc to the appropriate concentration). In section “Procedure” we mention that cell pellets should be resuspended carefully by pipetting. For this step we recommend a manual 1,000 µl pipette. By slow aspiration and release the cell pellet can be gently resuspended. The required regeneration time depends on the selective marker. We experienced that transformants with a HIS3 marker can be plated after 1 h, while those with a NAT1 marker may require up to 4 h of regeneration. The ssDNA solution is prepared according to the manual described in Molecular cloning (Sambrook and Russell, 2001). Each aliquot is heated to 95 °C for 5 min and immediately cooled on ice before use. We thank Suzanne Noble and Alexander Johnson for their advice in setting up the heat-shock deletion workflow for gene deletion in the 96-well format (Noble and Johnson, 2005). This work was supported by the Austrian Science Foundation FWF through the ERA-Net Pathogenomics project FunPath (FWF-API-0125), and in part by grants from the Christian Doppler Society, the FP7 EC project FUNGITECT, the Marie-Curie ITN ImResFun (MC-ITN-606786) and the FWF Project FWF-P25333 "Chromatin" to KK. Noble, S. M. and Johnson, A. D. (2005). 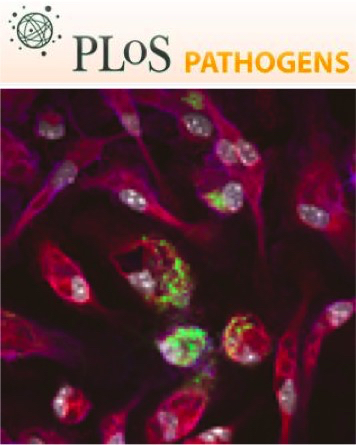 Strains and strategies for large-scale gene deletion studies of the diploid human fungal pathogen Candida albicans. Eukaryot Cell 4(2): 298-309. How to cite: Istel, F., Schwarzmüller, T., Tscherner, M. and Kuchler, K. (2015). Genetic Transformation of Candida glabrata by Heat Shock. Bio-protocol 5(14): e1529. DOI: 10.21769/BioProtoc.1529.